In the fall and winter of 2015, Senior Tergar Lama Khenpo Kunga visited Europe for the first time, and gave extensive teachings on the Path of Liberation. His visit was preceded by enthusiastic planning and organization by members of the European community, and well before the time he arrived, all the parts of the puzzle were complete. His first port of call was Paris, where he was warmly welcomed at the airport by the co-founder of Tergar Paris, Titi Tran. Khenpo-la arrived just two days after Mingyur Rinpoche had returned from extended solo retreat, and the Tergar community was able to share their happiness with him. Titi recalls that meeting Khenpo-la on French soil was like having Rinpoche really close to them. The community in Paris was touched and amazed by Khenpo Kunga’s teaching style, and those who had known him from earlier teachings in Bodhgaya observed how his way of transmitting the Buddha’s teachings had changed during the last few years. Khenpo-la himself remarked on this jokingly: "Oh at that time, it was very boring teaching, you even skipped my teachings to go to the Temple." His knowledge of the subject, and the personal meditation experiences he abundantly shared, brought the Dharma teachings to life for all who attended. He often emphasized the importance of the lineage and the well-qualified guru. 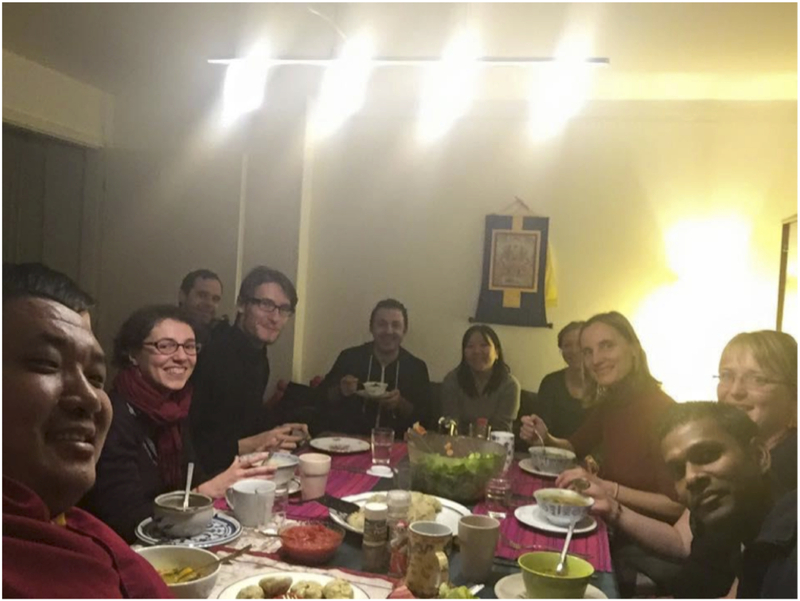 Between teachings, Khenpo Kunga enjoyed sightseeing in the company of friends from the French and German communities. Together they visited many old monuments in Paris, discovering the history, culture and old heritage of the City of Lights. Fortunately Khenpo Kunga left Paris the day before the horrific tragedy of the terrorist attacks, however he was deeply shocked to hear what had happened in the city he came to like so much. The next stop on his teaching tour was Sweden where he offered a short meditation workshop and an evening talk. He enjoyed the snow in Malmö and rested a few days on the wintry beach before the longer teachings in Copenhagen. It might not be the dream-break for many of us who hail from warmer climates, but surely for someone like Khenpo-la who spent his youth in the Kham province of Tibet, it was a very pleasant experience! 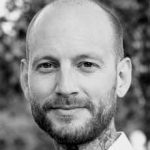 It is a very distinct and unique experience to receive teachings from a true teacher. One recognizes instinctively the special depth and unaltered authenticity which unfolds in these occasions. 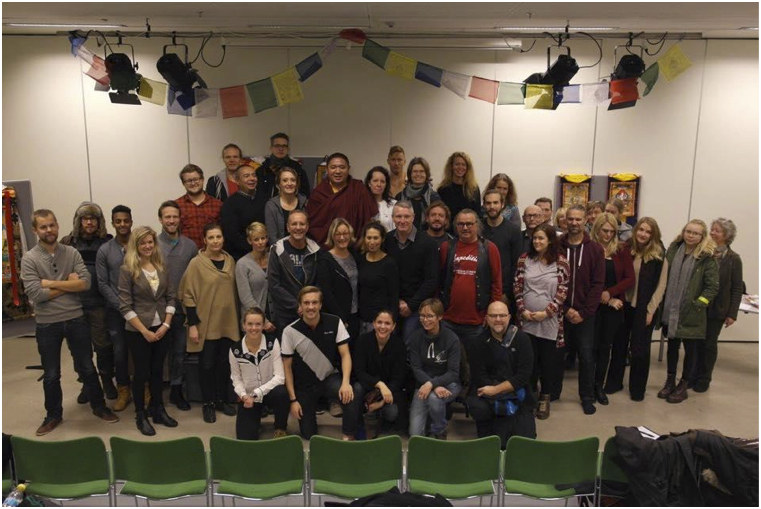 We were many in Copenhagen who were touched by Khenpo Kungas visit and weekend seminar in the end of November. One experience is to read or hear the texts and examples of the nature of mind and Ngöndro, but the importance of lineage resurfaces when the teachings are given by Khenpo Kunga: he transmits the most complex and core elements in a natural and clear way. His combination of classical examples with personal stories and a good deal of humor contribute to an atmosphere of down-to-earth and unassuming sincerity, of accessibility to us beginners. Like most of us, I mostly listen to what teachers do, not only to what they say. Khenpo's whole presence embodied the Nectar of the Path, which he lovingly offered to us with with care, respect, generosity and a touch of lightness. At some point, Khenpo illustrated visualizations with the different artifacts available to him on his table, and even showed us practically how to do prostrations correctly. We are so thankful and motivated from this unique experience. Khenpo Kunga not only enriched but gained our hearts. After Denmark, Khenpo Kunga’s path turned south and he visited the Barcelona community where he offered teachings on the Nectar of the Path in the beautiful retreat center in Soronells. The numerous participants enjoyed the intimate atmosphere of the residential weekend retreat and benefited from the insightful and caring guidance of Khenpo-la. From Barcelona he flew on to Berlin where he gave a very successful public talk on compassion and meditation, followed by an informal evening with the local community. Khenpo-la shared some stories about Mingyur Rinpoche, talked about the lineage, and encouraged participants to continue with the regular practice of the Nectar of the Path. He also gave some personal and inspiring advice on meditation practice. The last stop on the teaching tour was Heidelberg where again Khenpo Kunga taught on Mingyur Rinpoche’s Nectar of the Path, this time in the framework of a non-residential weekend workshop. Members of Tergar practice groups from all over the country participated at the program, and enjoyed every minute of it! 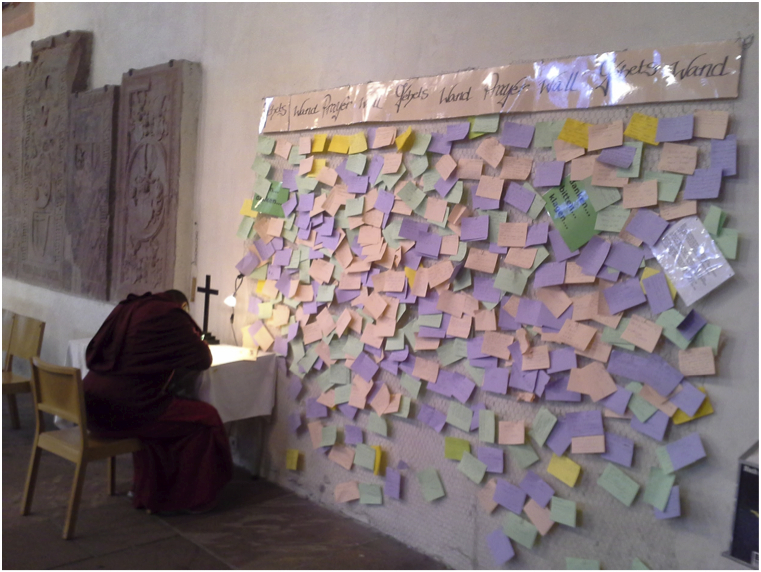 We took a walk through the famous Old Town of Heidelberg and visited the Heiliggeistkirche (Holy Ghost Church), where Khenpo-la sat for a while and added some lines in Tibetan to the "prayer wall". Then we showed him Heidelberg Castle, and we walked through several traditional Christmas markets in town that Khenpo-la seemed to enjoy a lot, especially the "Kinderpunsch" - a non-alcolholic hot beverage for children, similar to "Glühwein" for adults. 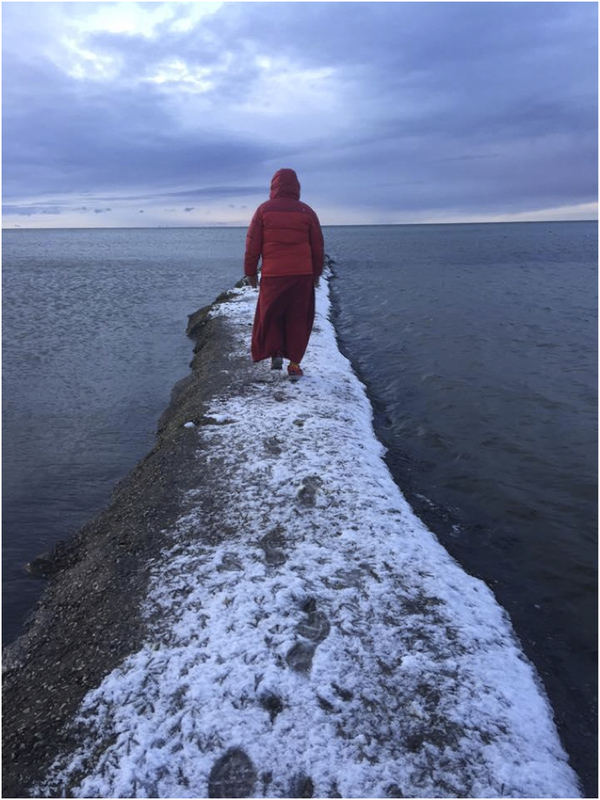 After a busy five weeks, Khenpo Kunga flew back home to St Paul, Minnesota, but we hope that soon we can welcome him again in Europe as he found a place in the hearts of many meditators of the old continent. The organizers of the events would like to take this opportunity to express their heartfelt gratitude to all the people involved in making the teachings happen. 2 responses on "Senior Tergar Lama Khenpo Kunga teaches in Europe"
Spending time With Khenpo la again, after so many years was very precious, fun, and inspiring. We welcome you back to Europe in 2016!